The H2O U-Type Alkaline Filter is a true alkaline ionized filter that features 10 levels of filtration using premium media, ceramics, and a magnet that emit far infrared rays increases pH and alkalinity, lowers ORP, and gives your water a refreshing mineral flavor. Studies have shown that alkaline water enables the human body to function more efficiently as it does not have to buffer as much the acids we take in through food and drinks. 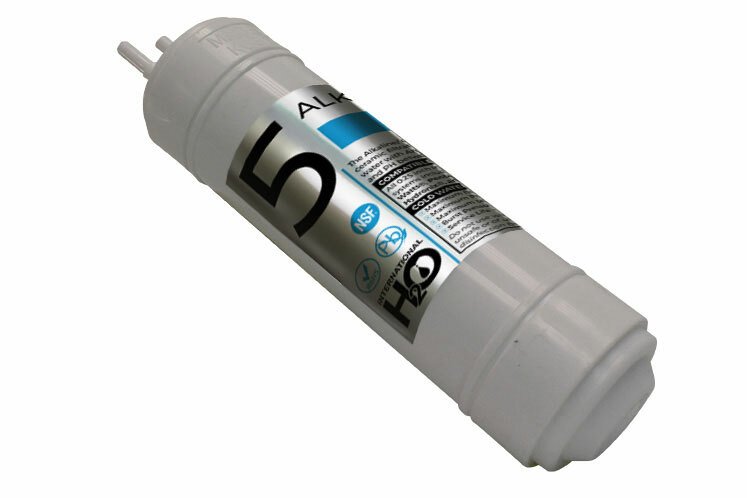 The Aperta inline alkaline filter is recommended for post-RO (Reverse Osmosis) use and includes a neodymium magnetic module. The Aptera alkaline ionized water filter requires a very slow flow rate of 0.25-.5 gpm in order for the water to have sufficient contact time with each of the media of the ionized water filter. Using this filter in combination with your current water filter system gives you pure & great tasting water with more health benefits than standard filtered water.